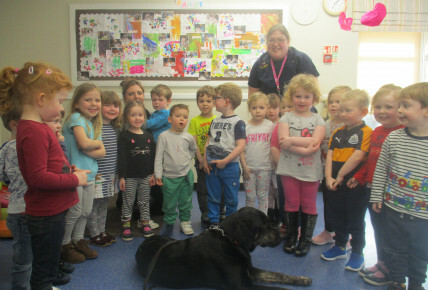 To mark the start of the Chinese New Year, year of the Dog the children at Busy Bees Beverley today received a very special visit from a special guest. 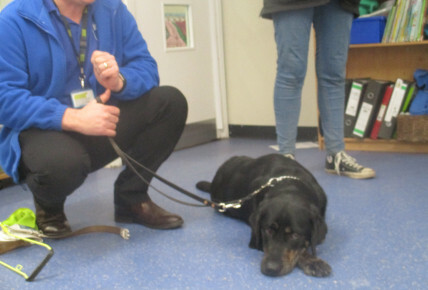 Timber the guide dog and his owner Paul, Timber is a very special dog as he acts as Paul’s eyes, as Paul is blind. 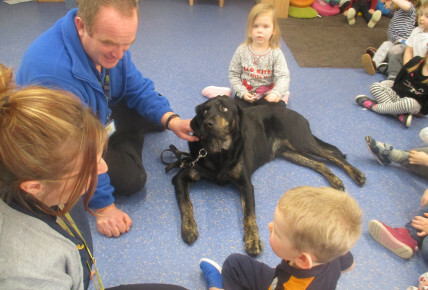 The children had a great time meeting and petting Timber they got to hear about how Timber helps out and all the amazing things she does for Paul. 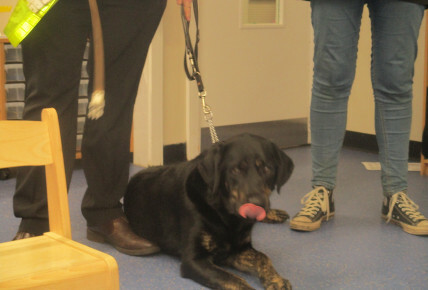 guide blind people across the road safely.